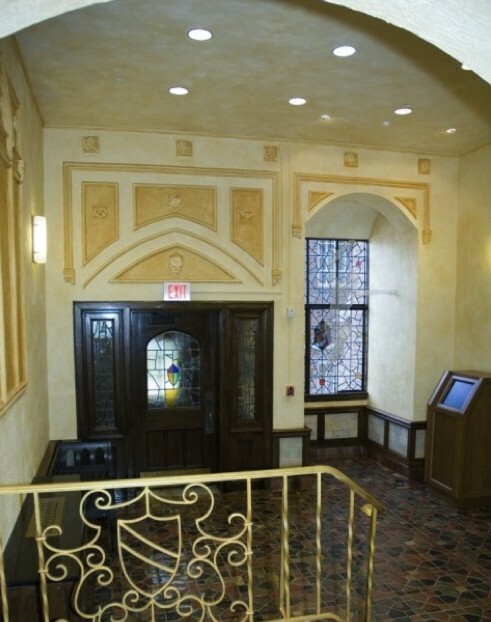 Project Specifics: The project necessitated the complete interior reconstruction and exterior restoration of the Observatory Lodge for the Department of Kinesiology. Challenges: The key challenge was to maintain historical accuracy upon completion of a major structural demolition and structural reinforcement. To perfectly reproduce the original interior paintwork, Shmina hired a special consultant, who matched the pigments of each color. 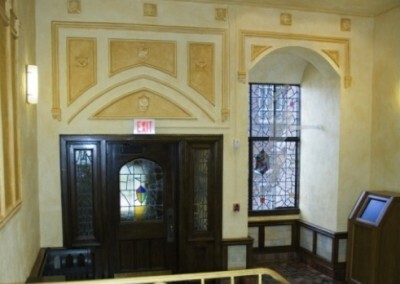 The project also called for the restoration and/or replication of plasterwork, leaded glass and woodwork. On the building’s exterior, the elaborate brickwork was meticulously cleaned and restored to its original state. The attention to detail was such that a mortar analysis was performed to determine the makeup and consistency of the ingredients. The result was a perfect match in color, consistency and texture.